Pooja S. Nair is a business litigator and a problem solver. She handles a comprehensive range of employment issues including compliance, internal investigations, and litigation. She is able to understand business needs to help develop employment practices and procedures that are both compliant with applicable laws and practical. She has experience handling internal complaints to de-escalate issues and conduct discrete and thorough internal investigations. She also handles a comprehensive range of business issues in the food and beverage industry, including trade secrets, contract negotiations, intellectual property, licensing, and franchise disputes. 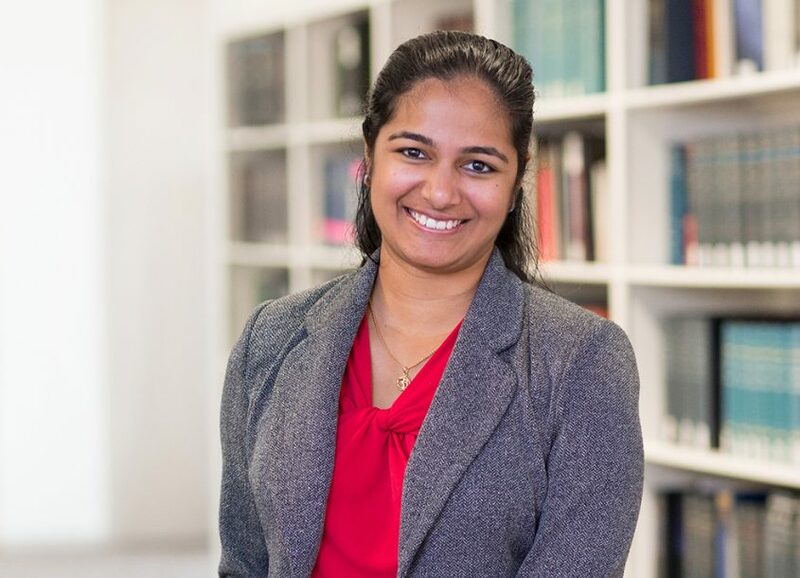 Prior to joining TroyGould, Ms. Nair practiced at Foley & Lardner for five years, where she focused on white collar criminal defense and internal investigations. She has published extensively on various topics in the Daily Journal, Eater, California Lawyer, and Bloomberg BNA. Ms. Nair was named a Rising Star in 2017 by Southern California Super Lawyers, a Thomson Reuters business. Represented holistic wellness company in handling embezzlement investigation and employee termination. Revised employee handbooks, offer letters, and employment contracts to ensure compliance with state and federal laws for clients in the restaurant, fitness, wellness, and retail space. Counseled clients in the mortgage, restaurant, pharmaceutical, and beauty industries in best practices for handling internal complaints from current and former employees to comply with state and federal law. Represented client in litigation involving contract and patent issues related to T-cell immunotherapy technology. Represented client in complex litigation involving antitrust, breach of contract, and patent claims. Successfully excluded multiple experts in Daubert motions. Counseled restaurant client on music licensing issues. Represented sports nutrition company in handling franchise agreement issues to avoid litigation. Representation of pharmaceutical company in extensive internal investigation into internal complaints regarding drug development to ensure compliance with federal and state law. Represented financial advisor company in handling internal fraud investigation and subsequent employee termination.